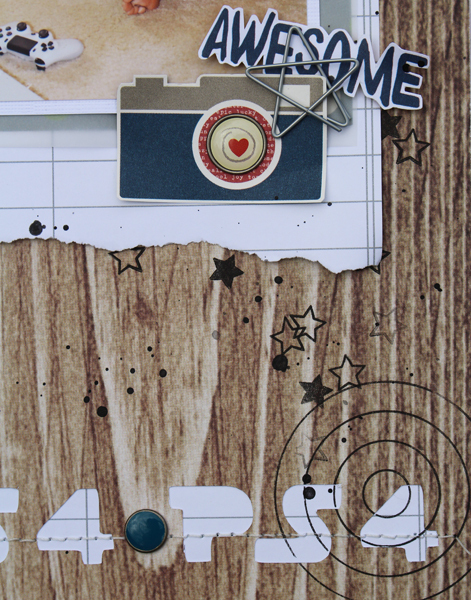 Have you seen the new Simple Stories Life Documented Scrapbook collection? The Scraptastic Club Store has the papers, embellishments and several of the album options no matter your style of scrapbooking. The papers have wonderful primary type colors with stripes, notebook lines, iconic designs and florals which work really well for contrast on a layout. My fav is usually the woodgrain in a collection because I like to use them as backgrounds. After layering some of these papers under my photos I added a couple of the silver Star Paper Clips from Freckled Fawn so the photos and things would appear to be clipped onto the notebook paper piece with a bit of vellum from my stash. 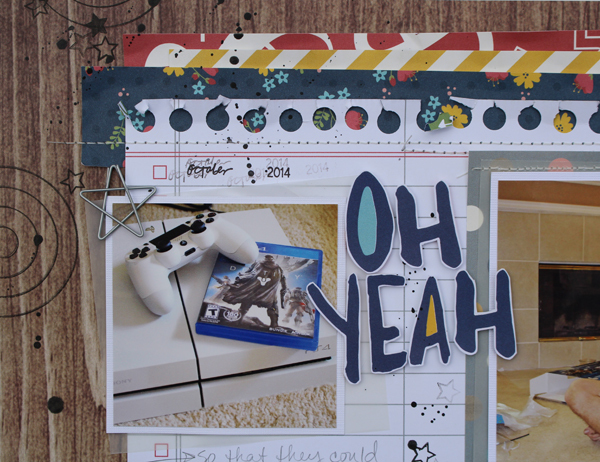 Next I cut PS4 across the lower portion of the backgrounds and used some of my paper scraps to put behind. For a little more of a guy gamer page, I used some of the stamps from the March Sentiments Series V.5 Stamp Set HERE.